Don't be surprised if you are wondering what the heck you are doing their after the first day. My son and I went and they divided the group of 20 students into 2 groups of 10 each. The first group went directly to the track (mine) and the other to the class room. I had no idea what I was doing following a guy I did not know around a track I had never seen. Crazy. I went to bed that first night wondering what I was doing there. However, the next day the instructor voiced the very concerns I had and it turned out they anticipated our apprehension. They have done this so many times that they know what the students are thinking. Very cool and one of the greatest driving experiences of my life. My 29 year old son was in seventh heaven. Cannot say enough about the professionalism and class of the instructors. Day three is open track day and you just bomb around making laps. By then, the track is your friend and you are wishing for day 4 ! Good luck. As @tommypaul said, the SM experience is a lot like drinking from a fire hose. 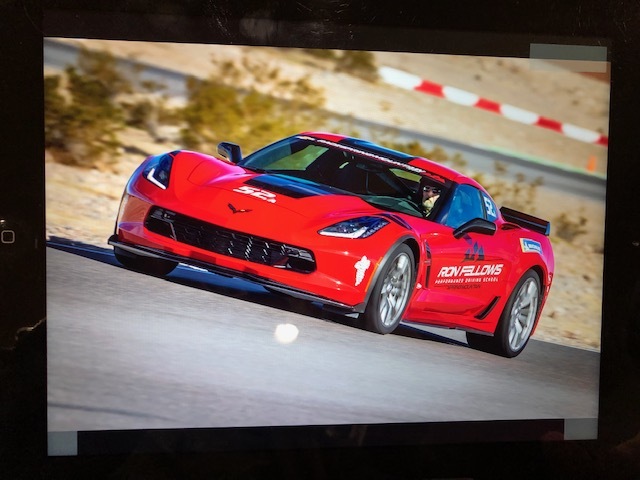 Suggest searching YouTube for Spring Mountain Corvette Owners School videos for a preview of the activities... Also, be sure to have a Class 10 SD card and become familiar with operating the PDR to record ALL the training and track events... A 32GB card should capture all the fun times. I just returned home following a two-day Corvette Owner's School at Spring Mountain. I went into day one with an open mind, knowing we would not be spending a lot of time on track the first day, but doing "dynamic vehicle exercises". Our first track experience in the afternoon was a nice. slow cruise around the track, learning the corners, the braking zones, transition areas and the apex curbing. That evening, I will admit to feeling a little apprehension about the next day. Almost to the point of not being able to eat dinner. Day two, my group of 10 was first to go to the track. The tempo picked up dramatically on that first run of the day - from 8:00 am until 3:30 pm it was non-stop - track / class / track / class / track / class. The instructors can "read" a class like a book - they build your confidence as they increase the speeds. At the end of the second day, I was proud of myself for improving my performance, while still knowing that I will never be a good enough driver to match the capabilities of the C7 Corvette. At the end of day two, I was also exhausted! I have owned and driven Corvettes for 47 years, at least one of every generation, but I have a new-found respect for this latest generation. What a magnificent automobile on the track! I have been twice. Went last May with a good friend. This is an incredible program from top to bottom....EVERY corvette owner should go. There is no better way to learn about the features and technology that are in this car.